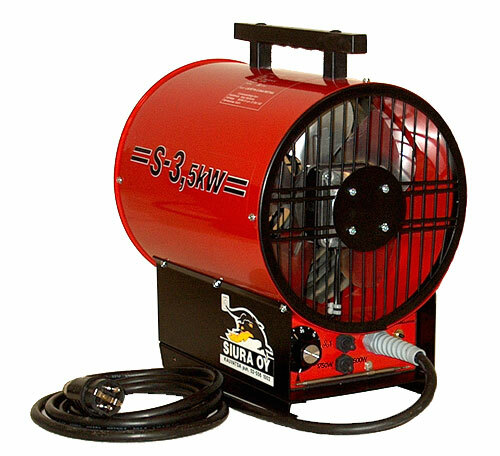 Due to big diameter compared to the power, S 3 is a perfect heater for conditions where air flow needs to be effective but not as effectively pointing as model S 2. S 3 is mainly designed for indoor use. 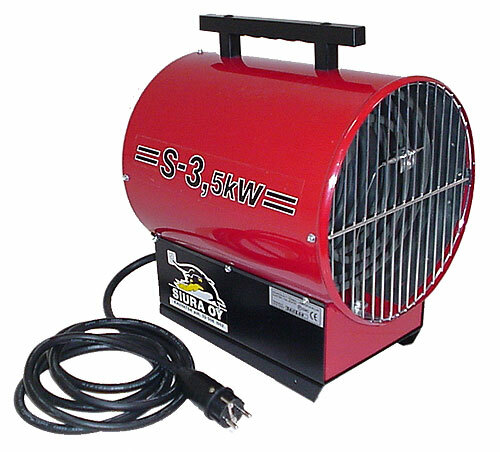 It keeps the air moving effectively to every corner of the room keeping the temperature steady but outdoor use or use by pointing the flow is mainly recommended for models S 2, S 6 and S 17. Heating elements are made of stainless steel. Reflecting inner tube keeps the surface cool and safe during operation. Upper control switch: continuing air flow / air flow when heat is on by the thermostat.